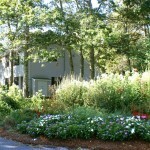 Come and enjoy Mashpee’s “Stay N Play” Resort! Located on 20 quiet, wooded acres, Sea Mist Resort is centrally located between two of Cape Cod’s largest towns, Falmouth and Hyannis. Make Sea Mist Resort your jumping off point for discovering all that Cape Cod is famous for: beautiful beaches, historical sites, shopping, on the water adventures, and please don’t forget our delicious local seafood. 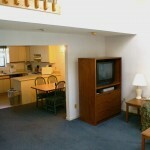 We boast extra-large units with full kitchens, an uncommon amenity among Cape Cod resorts! 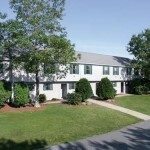 Sea Mist Resort is within walking distance of the Mashpee Commons, famous for its shopping and restaurants, and the bucolic South Cape Beach is just down the street, accessible by car or bike. Our friendly staff is there to help you plan your stay, whether it’s a trip to Boston or Newport, a day trip to Martha’s Vineyard or Nantucket, or to point you to Cape Cod’s best lobster roll! So, enjoy browsing our website, and we hope to see you at Sea Mist Resort very soon. Check our other resort webpages! 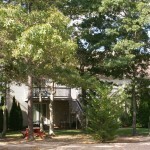 Compare our great rate for this holiday rental with the resort’s rack rate of about $2139-2205 per week (source: 8664myvacation.com) and save 50% off. The prices shown are the TOTAL prices and include tax and cleaning. 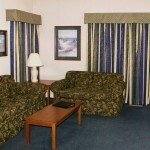 There are NO additional charges (such as sales or lodging taxes, cleaning fees, deposits, booking fees, etc.). The price you see is the price you pay! 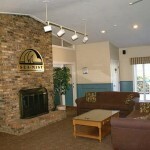 Sea Mist Resort has 90 spacious comfortably appointed, full sized condos with a warm relaxed atmosphere. Make yourself at home in one of our 74 one bedroom condos (some condo-style, some townhouse-style), that sleep four, and 16 two bedroom condos that sleep 6. All condos have generously stocked, full sized kitchens. Bring your favorite treats or pick up one that’s Cape Cod wonderful! 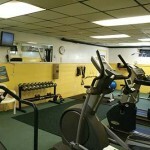 All condos have queen sized beds, 2 full bathrooms, 2 TVs, air conditioning, sleep sofas, decks or patios with furniture. 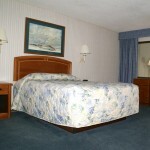 All linens and basic paper goods are supplied. The only thing you need to bring is your swimsuit! Wet Towels? Not a problem! Just bring them to our Housekeeping Department, and our friendly staff will supply you with fresh towels! Now that’s hospitality! All condos are nonsmoking, and unfortunately, do not allow pets. About five miles away are the beach and Nantucket Sound. Local marinas offer equipment rentals, deep-sea charters, and excursions to Martha’s Vineyard and Nantucket Island. Countless antique stores, craft shops, and art galleries make Cape Cod a souvenir hunter’s delight. And if you love seafood, there’s no better place to be.